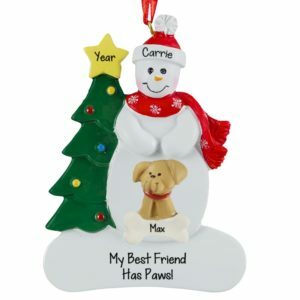 Visit our Generic dog ornament category, and you will undoubtedly discover many that will perfectly epitomize your dog. 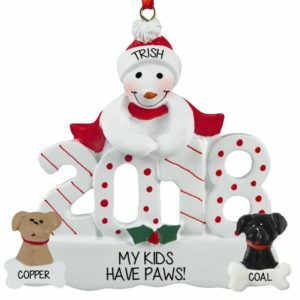 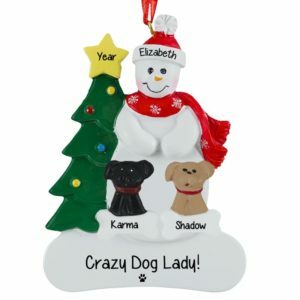 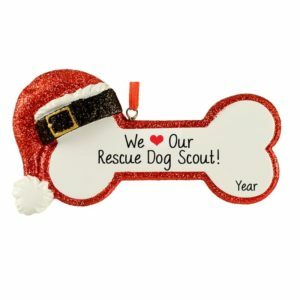 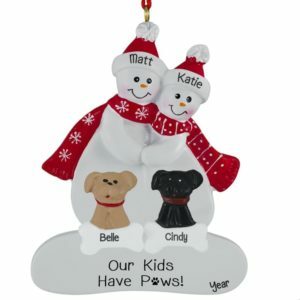 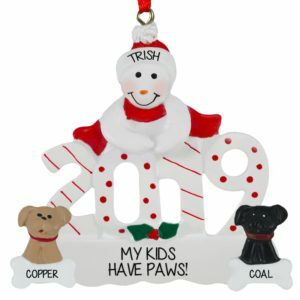 Personalized Ornaments For You offers a wide selection of dog themed Christmas tree decorations. 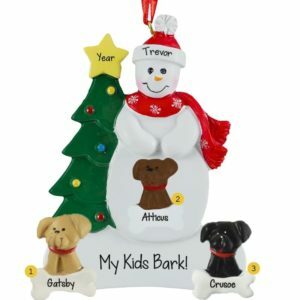 Many are dog bone shaped, while others depict pups of different colors. 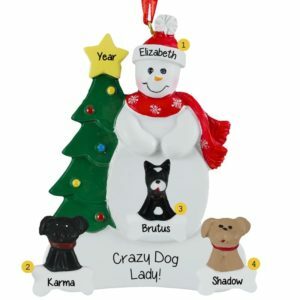 We have doghouses, picture frames, paw prints, and even memorial designs. Are you the ‘grandparent’ of a four legged furry grand-dog? 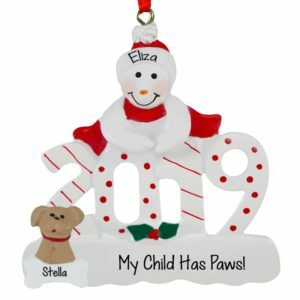 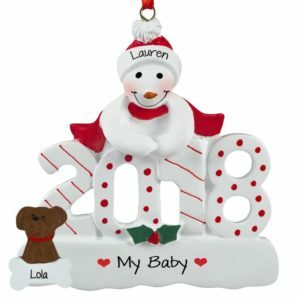 A hand personalized ornament with the dog’s name, year and your sentiment is a terrific way to show you care. 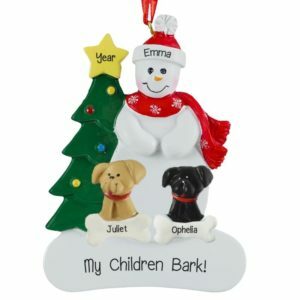 We have some really adorable customizable ornaments that allow you to choose from one to several dogs, as well as the appropriate colors! 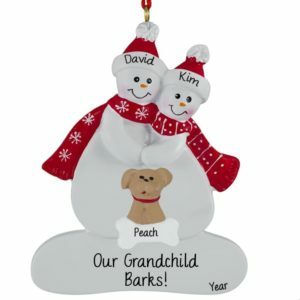 If you have a pet who has crossed the rainbow bridge, we have many memorial ornaments from which to choose. Why not give your veterinarian, dog groomer, or pet sitter one of these inexpensive gifts to show how appreciate you are!